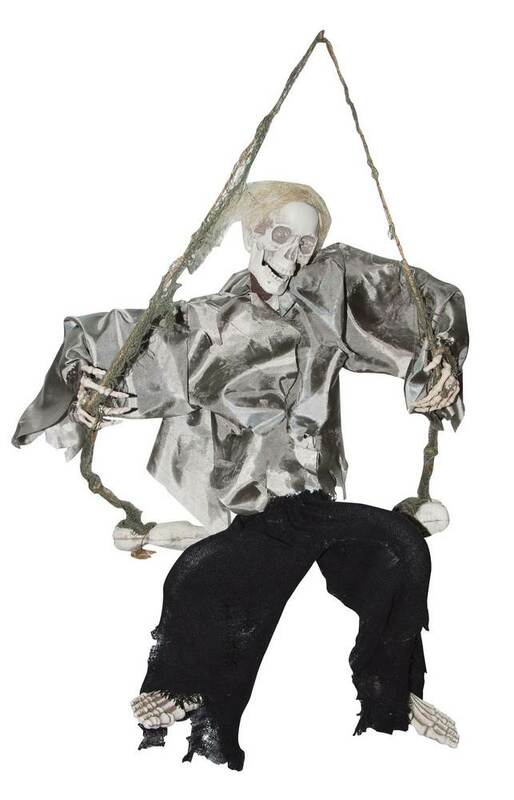 Small skeleton sits on a swing and kicks his legs swiftly back and forth while his red LED eyes flash and an eerie laugh soundtrack plays. Lots of action with this prop! Measures close to 3 feet tall x 17'' wide. Sound activated. Requires 3 AA batteries (not included).